Portia® is a medication used most commonly for the prevention of pregnancy. 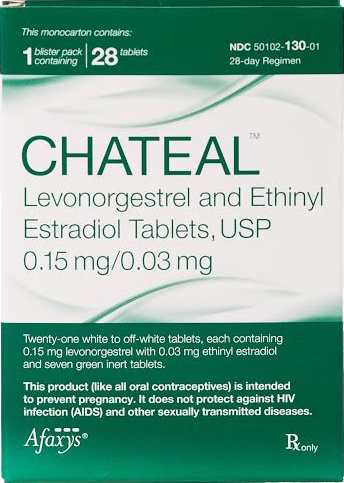 This oral contraceptive contains two hormones (one is an estrogen, the other a progestin) and causes changes in the female body that prevent pregnancy. Portia® prevents pregnancy by stopping the release of the egg from the ovary (ovulation). Additionally, Portia® changes the uterine lining and the cervical mucus to make it more challenges for sperm to reach the uterus and even harder for an egg to implant if it does become fertilized. Without this implantation occurring, the egg will simply be passed naturally through the body. If you are already pregnant or have just given birth, it’s not advisable to take Portia®. Like with many combination birth control pills, they are popular not just for their pregnancy prevention uses but also due to the fact that many women experience shorter, lighter and less painful periods. In order to prevent pregnancy as intended, it’s important that the pill is taken consistently and around the same time each and every day. Each missed pill can increase the chances of pregnancy occurring. If you do miss a pill, be sure to read the direction in the ‘missed dose’ section of your prescribing material. Portia® birth control does not prevent against the transmission of STDs so it’s advisable to use a condom to prevent infection with any partner of which you are not sure of their STD status. Portia® birth control is highly effective in pregnancy prevention when taken correctly. There are some medications that may however counteract the effectiveness. For this reason it is very important to speak with your doctor about all over-the-counter and prescription medications you are taking in addition to the pill. Certain antibiotics, hepatitis C and HIV/AIDS medications, certain seizure medications and sedatives can interact. If a gap in birth control coverage occurs, it may become necessary to use a non-hormonal form of back up birth control while continuing to take Portia®. In order to reduce the chances of experiencing any serious Portia® birth control side effects, it’s important to disclose all prior and current medical history to your prescribing doctor. While most reported side effects are minimal and typically get better with time, there are certain conditions that may make oral contraceptives a bad match for you. The most common oral contraceptive side effects include vomiting, stomach cramps, increase in vaginal fluids, irritation or discomfort vaginally, better or worsening acne and bloating or dizziness. Bleeding or spotting may also occur in the first few months of taking Portia® birth control. This is typical and will usually dissipate in the first few months of use. Whenever you begin taking a new medication, it’s common to wonder if there are any associated side effects. For those taking oral contraceptives like Portia® side effects are most commonly mild and lessen over time. If you are encountering any interactions or complications with your medication, reach out to your prescribing physician to determine whether or not to continue the dosing information as originally prescribed.